The trial is hardly a ‘world first’ as the majority of hydrogen (∼95%) is (and has been for decades) produced from fossil fuels by steam reforming or partial oxidation of methane and coal gasification with only a small quantity by other routes such as biomass gasification or electrolysis of water. The problem with the whole idea is that Japan gets the clean fuel, hydrogen, whilst we are left with the carbon dioxide… an ‘unclean’ product! Where to put it? I understand the temptation… we have squillions of tonnes of brown coal and a lot of money may be earned from it. So why leave it in the ground? 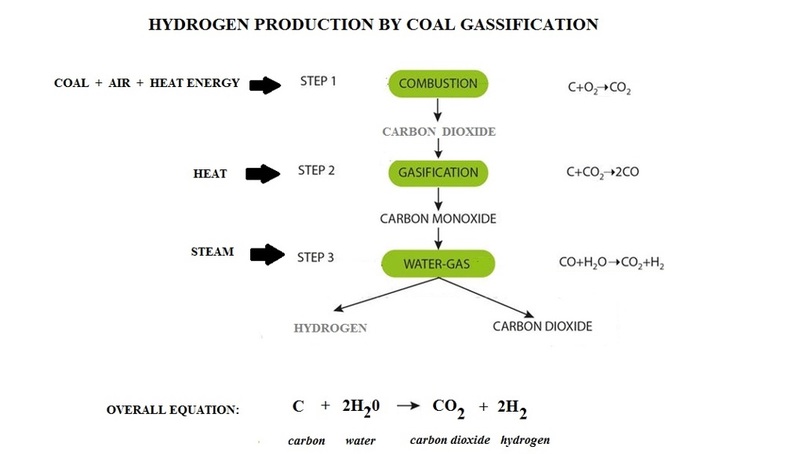 Specifically, hydrogen is produced by first reacting coal with oxygen and steam under high pressures and temperatures to form synthesis gas, a mixture consisting primarily of carbon monoxide and hydrogen. After the impurities are removed from the synthesis gas, the carbon monoxide in the gas mixture is reacted with steam through the water-gas reaction to produce additional hydrogen and carbon dioxide. Hydrogen is removed by a separation system, and the highly concentrated carbon dioxide stream can subsequently be captured and stored. When hydrogen is used in efficient fuel cell vehicles, emissions can be more or less eliminated as water is the main product! This is what the Japanese get and are prepared to pay for! Clean fuel with clean emissions! To get a lot of hydrogen the coal needs to be “gasified” rather than burned, creating compounds that can then be reacted with water to make hydrogen. Firstly the coal is heated with air. Then the products are again heated with steam. There are impurities such as sulphur and other products that must be removed. However, the bulk of the final product consists of carbon dioxide and hydrogen which must be separated. The carbon dioxide needs to be stored somewhere safely. Some of it (albeit a small proportion) may be used in other industries.